The head of beleaguered Chinese telco Huawei Technologies has defiantly lashed out at several Western nations for their “incredibly unfair treatment” of his company. Without naming any specific countries, Huawei’s rotating chairman Guo Ping was most likely referring to Australia, New Zealand, Canada, the United Kingdom — and especially the United States. In a new years’ address to his staff, Mr Guo warned the “dynamic between world powers” — a veiled reference to the US-China trade war — would become “more intense”, and there would be “even greater uncertainty in the macro business environment”. “Setbacks will only make us more courageous, and incredibly unfair treatment will drive us to become the world’s number one,” he said. 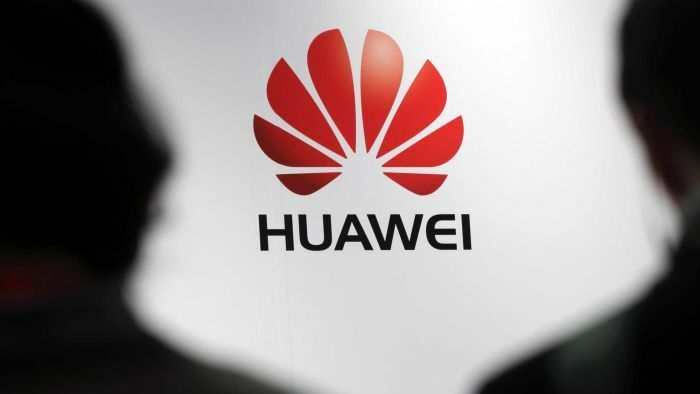 Huawei, the world’s largest producer of telecommunications equipment, is facing intense scrutiny in the West over its ties to the Chinese government. Several countries have expressed concerns that its equipment could be used by Beijing for spying — allegations which Huawei has repeatedly denied. “We must not be discouraged by malicious incidents or temporary setbacks, and must remain determined to achieve global leadership,” Mr Guo said. Australia and New Zealand have banned Huawei from building their 5G networks on national security grounds in the last few months. On Thursday, British Defence Secretary Gavin Williamson said he has “grave concerns” about Huawei providing technology for Britain’s planned 5G network. “We’ve got to look at what partners such as Australia and the US are doing in order to ensure that they have the maximum security of that 5G network and we’ve got to recognise the fact, as has been recently exposed, that the Chinese state does sometimes act in a malign way,” he said. In early December, the telco’s chief financial officer Meng Wanzhou was arrested in Canada over allegations she defrauded banks and breached US sanctions against Iran. Mr Guo also used an American basketball analogy in an attempt to rouse the spirits of his troops. In addition, the chairman also told his staff that, in spite of the global pushback, Huawei had secured 26 5G contracts and expects its smartphone shipments for this year to surpass 200 million units. He also provided an optimistic forecast of the company’s financials — a 21 per cent jump in revenue to $US109 billion ($155 billion). “Our business performance remains strong, and this is by far the most direct form of validation that we can receive from our customers. US President Donald Trump is reportedly considering an executive order to ban Huawei and fellow Chinese technology company ZTE, according to Reuters. The executive order has been under consideration for more than eight months and could be issued as early as January. It would block US companies from buying equipment from foreign telecommunications makers that pose significant national security risks.